Imagine attending CCBC without the worry of paying tuition. For some students, it could become a reality thanks to the Baltimore County College Promise Program. 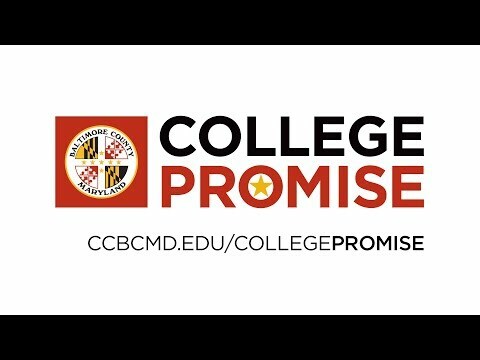 Baltimore County Executive Kevin Kamenetz recently announced the Baltimore County College Promise Program -- an initiative that guarantees eligible students can attend CCBC tuition-free. The program covers tuition and mandatory fees for qualifying students to complete an associate degree or workplace credential. Students are required to apply for financial aid and the Baltimore County College Promise Program will cover tuition and fees not covered by financial aid. Students receiving the scholarship will still be responsible for other costs such as books, transportation, supplies and materials. And, the scholarship applies only to the first degree or credential sought. Have an adjusted gross income of less than $69,000, which is the median income in Baltimore County. Check the details and learn more about the Baltimore County College Promise Program today.